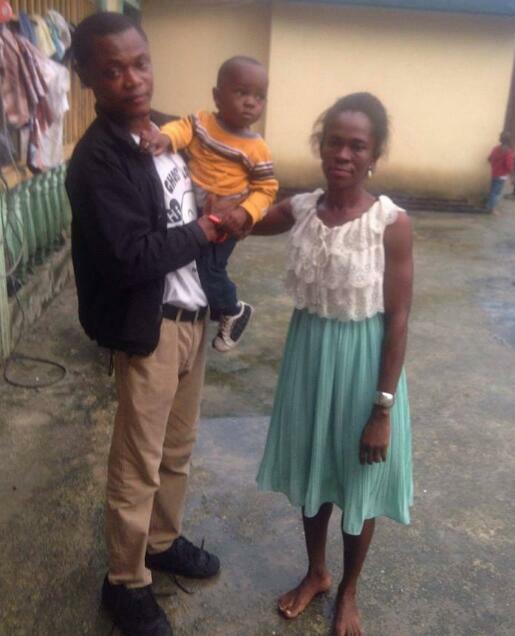 A man who got a woman pregnant and reportedly forgot following a quarrel they had years back - has reunited with family. According to human rights lawyer, Emeka Ugwuonye, the man and woman lost contact with each other after their break-up as both went their separate ways. The couple were reunited with their 2-year-child yesterday. This man got this woman pregnant. They quarreled and broke up. The woman went on her own and had her baby. The man who also went his own way forgot he got somebody pregnant. They two lost contact and never met again. Then a DPA member met the woman struggling to stay alive from hunger with her nearly two-year old child. The DPA member began to ask questions. Today, Hon Joy Buz led DPA to this reunion. Father, mother and child were brought together. DPA will raise 20k to support the couple and help them to cement their union.